Across the river from the main part of Flaming Geyser State Park is an undeveloped section of the park that is at least as large as the main park. 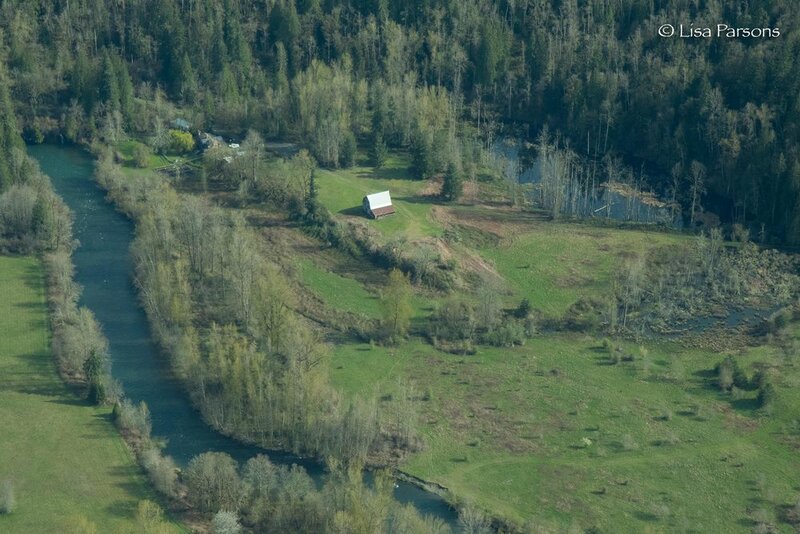 Originally Washington State Parks was going to put the old bridge that used to cross the river at 218th Ave SE (that was replaced with the concrete bridge you see now) in the park and then develop a campground across the river. Somehow the old bridge just sat in a field next to Whitney Bridge Park for years before it was carted off never to be a link between the main Flaming Geyser park and a new camp ground. What remains today is this undeveloped area is an old homestead. 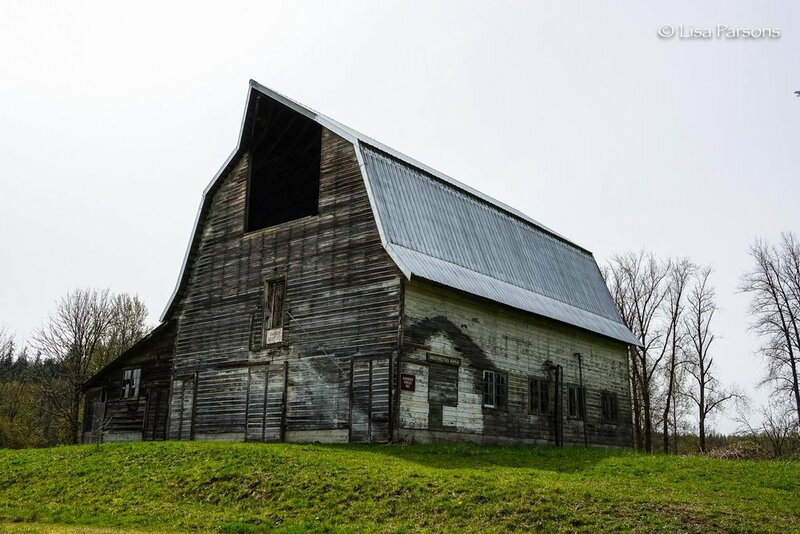 A weathered barn with a newer metal room stands alone on an upper bench of an open meadow. Primitive trails lead down to the river in several spots. An old road leads past a wetland and into the forest. The road passes an old abandoned car and leads down to large creek and a forested wetland. While it looks like State Parks has done some recent cleaning of the black berry vines and cut back the brush it remains largely the same as it has since I visited it many years ago. 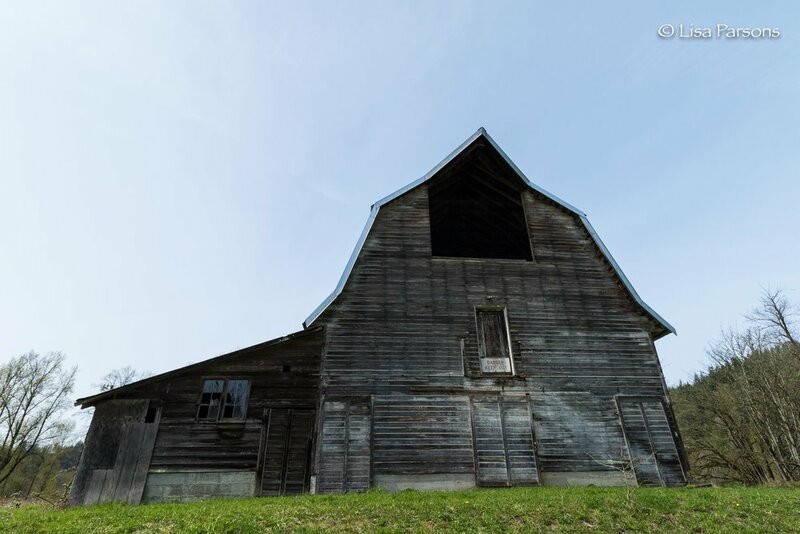 It is a great alternative to the main park and a nice side adventure on a spring day or a great place to enjoy the river on the busier summer days in the main park. 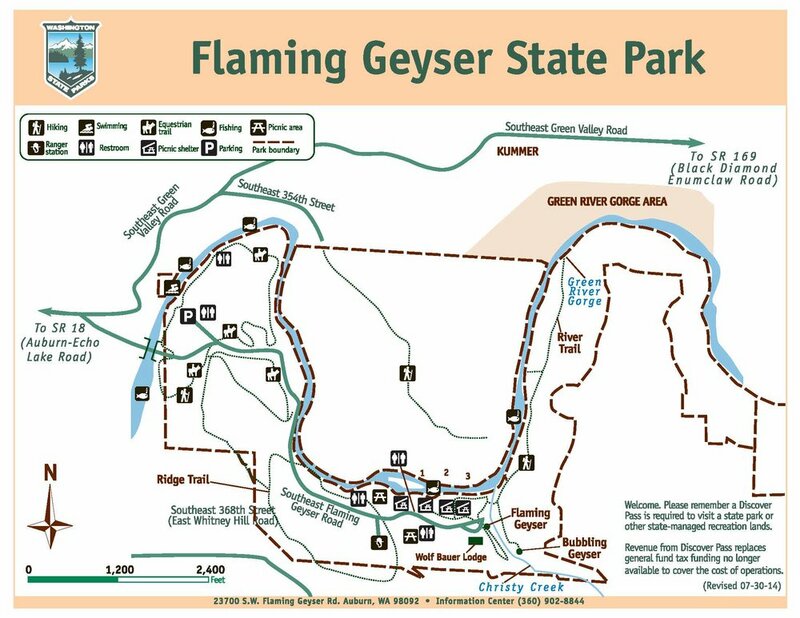 Map of Flaming Geyser State Park. 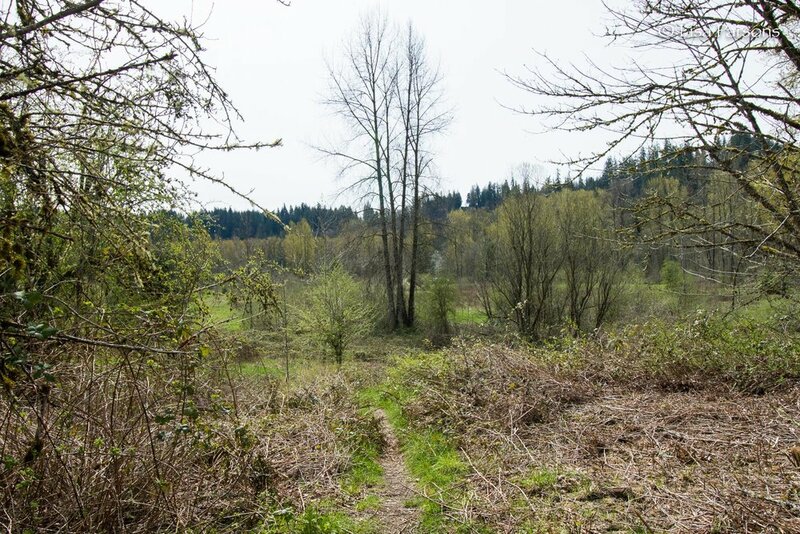 Trail is on the north side of the park off of SE 354th Street. To get there: Head east on SE Green Valley Road past the main entrance to Flaming Geyser. 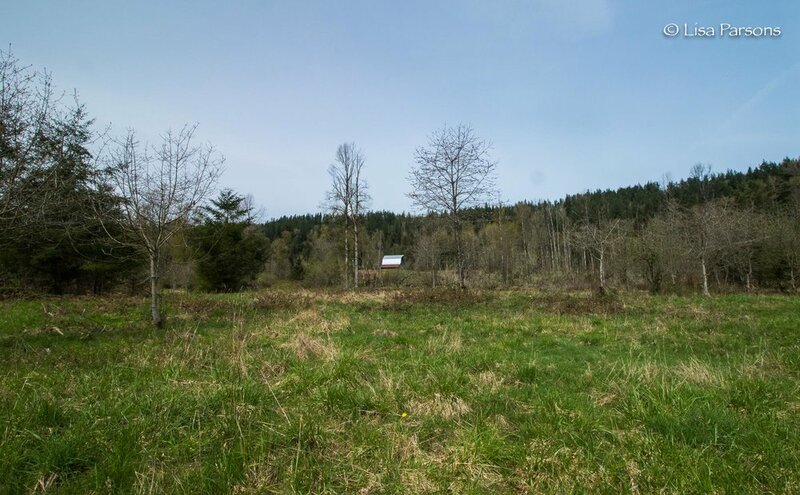 Turn right on to SE 254th street and follow downhill to where the road dead ends. There is parking near the gate for about 10 vehicles. For more info on Flaming Geyser visit the Washington State Parks web page. There you can download a pdf of the map above. Remember to bring your Washington State Park Pass or visit the park on April 22nd, a Discover Pass Free Day.